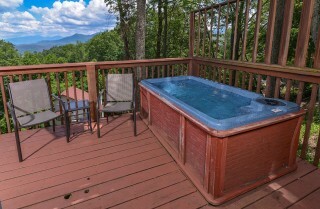 For a luxurious mountain cabin meant for 2, check out A Romantic Hideaway set peacefully in the Smokies. 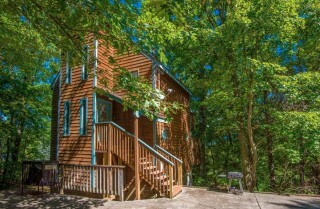 This Gatlinburg cabin offers a location that’s less than 3 miles from the exciting attractions and events of downtown. 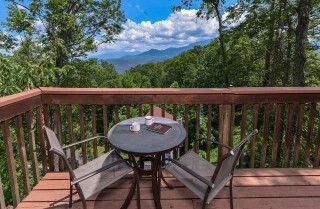 You’ll also be less than 5 miles from the Great Smoky Mountains National Park, where you can hike, ride bikes, ride horses, fish, or enjoy a scenic drive among wildflowers and wildlife. A Romantic Hideaway is ideal for honeymooners, couples celebrating anniversaries, or couples just looking for a fun weekend away. 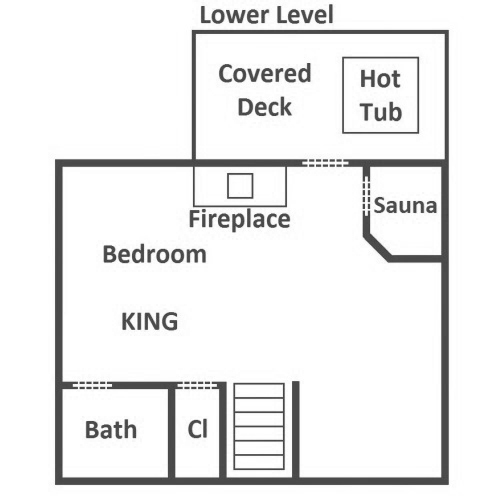 Inside the cabin, you’ll enjoy 1 bedroom with a king-size bed and 1 ½ bathrooms, including a master bathroom that features a romantic indoor jetted tub. 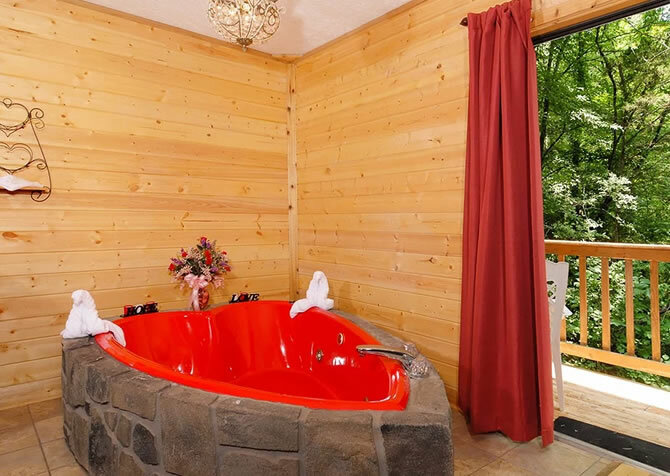 Other romantic features that come with this cabin include an outdoor hot tub, a private indoor sauna, and 2 gas fireplaces. 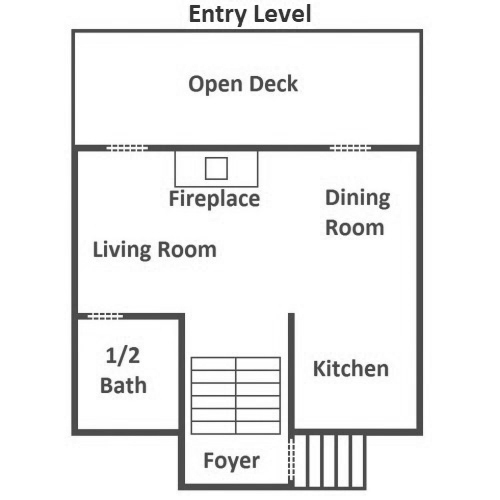 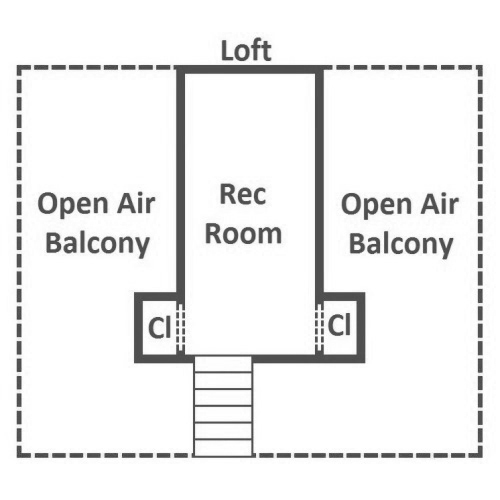 And if that’s not enough, you’ll also have a private sitting area from your very own back porch. 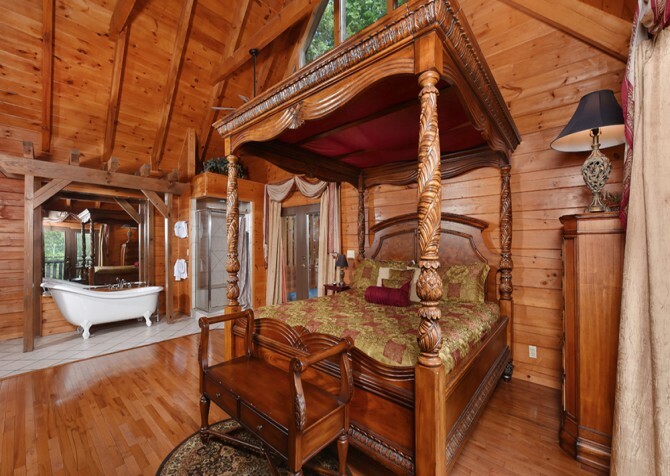 For a romantic getaway for 2 in Gatlinburg, be sure to ask our reservation specialists about this Gatlinburg charmer! After long hours of hiking in the national park or a full afternoon of walking around The Village in downtown Gatlinburg, you’ll want a comfortable place to kick back and unwind with the one you love. 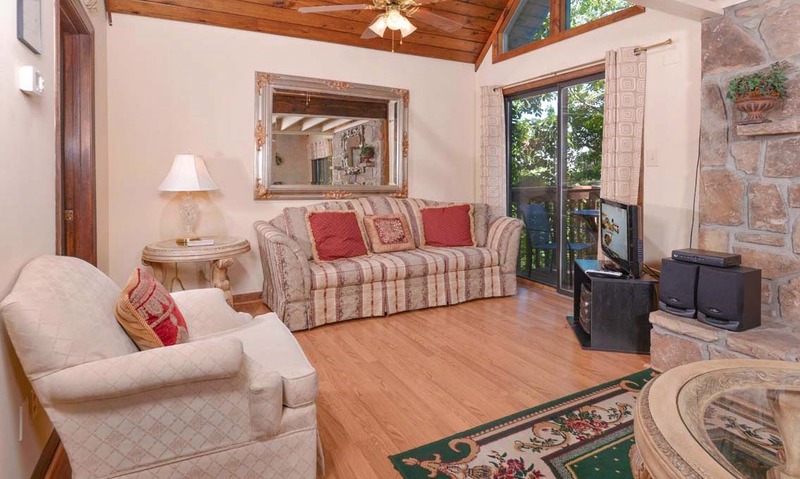 With vaulted ceilings, large floor-to-ceiling windows, and luxurious décor, the living room of A Romantic Hideaway offers an impressive place to relax during your visit to the Smoky Mountains. 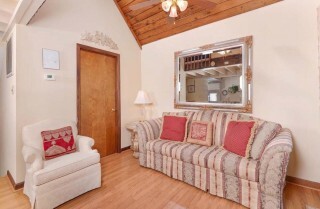 The living room of A Romantic Hideaway features a plush sofa and coordinating armchair. You can cuddle on the couch or enjoy a quiet morning sipping coffee and watching the news on your flatscreen TV. This living room also features a large coffee table where you and your significant other can play board games or a card game in front of the stacked stone fireplace. This fireplace runs on gas, making it easy to operate, and it’s sure to be a favorite feature on chilly mountain evenings during your visit to Gatlinburg. 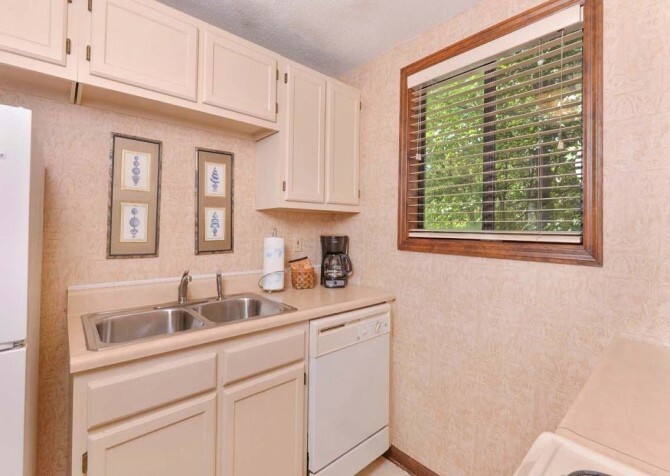 The kitchen inside A Romantic Hideaway is tucked away so you can prep meals without overpowering the movie playing in the living room. Inside the kitchen, you’ll have convenient amenities like a blender, coffeemaker, toaster, microwave, refrigerator, oven, and electric stove. You’ll also have access to cookware and silverware, making mealtime easy during your Gatlinburg stay. 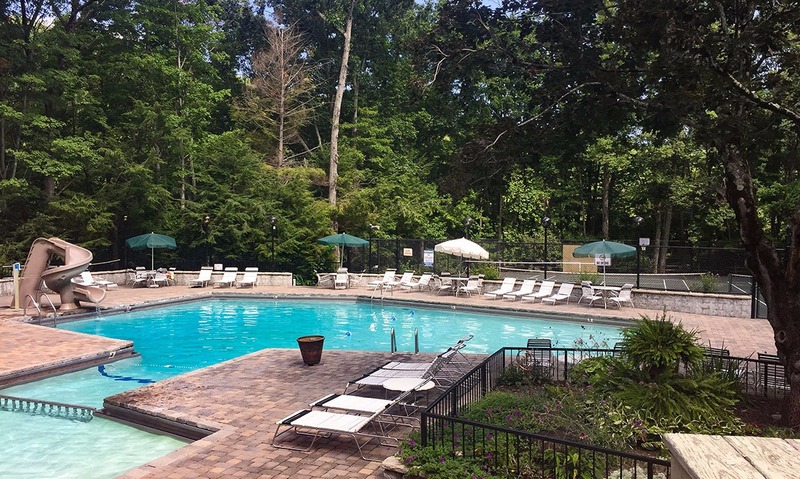 If you’re looking for ways to save money, eating in is a great option for you. 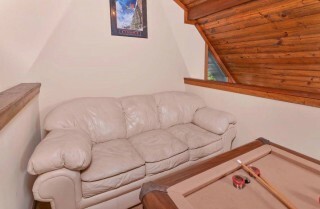 It’s also a great way to add intimacy to your mealtimes in the Smokies. You can enjoy a pancake breakfast or a gourmet dinner for 2. 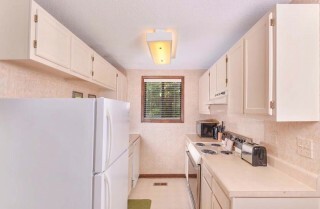 At Cabins for YOU, we can even deliver food to your door as one of our Gourmet Gift Items—perfect for honeymooners or couples celebrating special occasions. 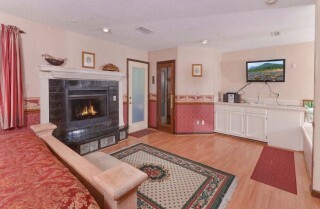 Ask our vacation planners about other gift ideas during your Gatlinburg getaway that will add a special romantic touch. 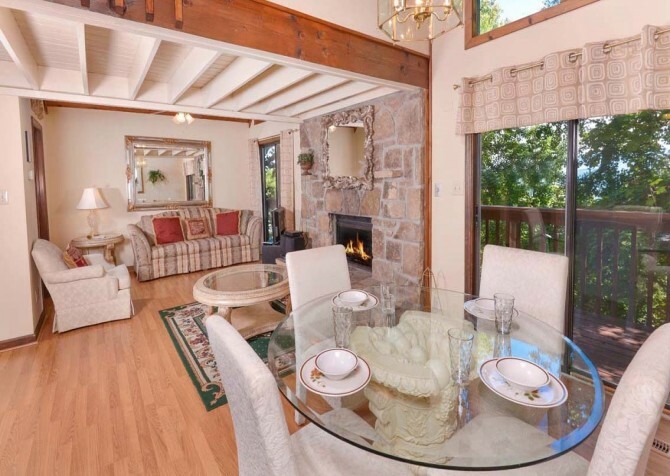 If you love the living room of A Romantic Hideaway, you’re sure to love the dining area as well. 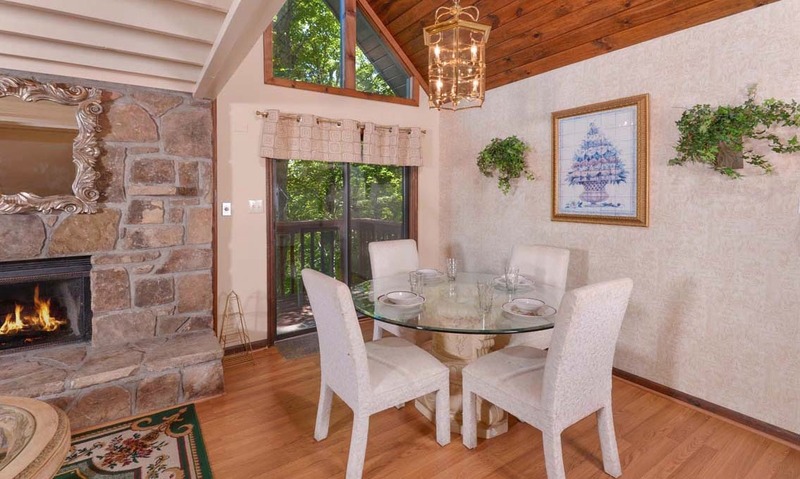 Continuing the luxurious décor found throughout this Gatlinburg cabin, the dining room features a round glass-top dining table with place settings for 4. 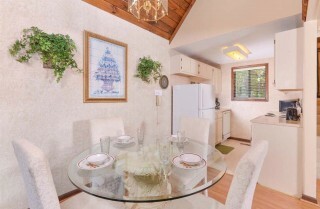 Couples will have plenty of room to enjoy quiet meals together in the comfort of your cabin. 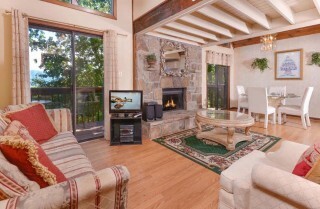 You’ll also enjoy the views of nature from the sliding glass door beside the dining area. 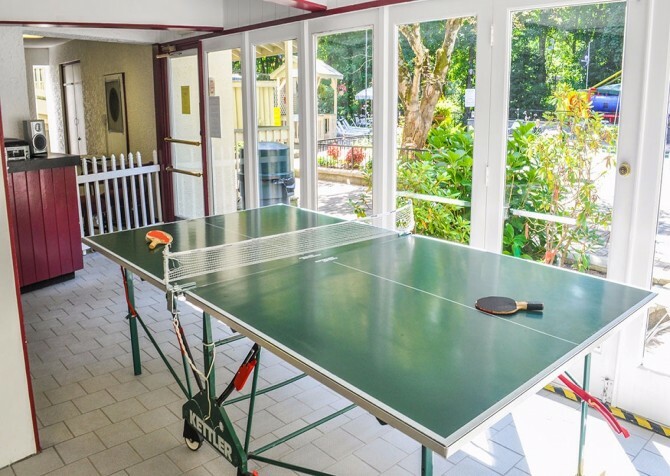 A Romantic Hideaway provides an intimate setting for mealtime, game nights, or just a night of wine, cheese, and pleasant conversation. 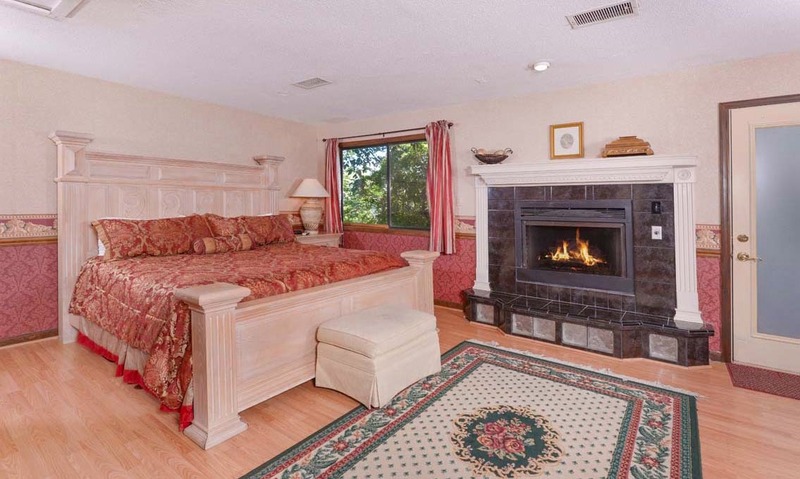 A Romantic Hideaway features 1 large bedroom that’s perfect for your anniversary celebration or honeymoon suite. This room comes with a king-size bed, its own gas fireplace, a 50-inch flatscreen TV, and a master bathroom that features a large indoor jetted tub. 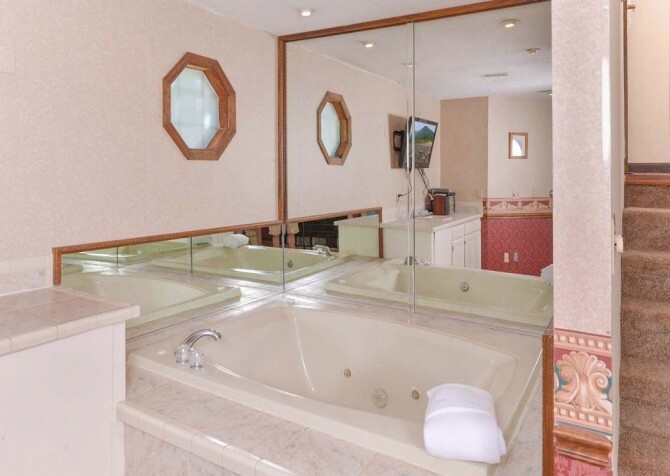 When you’re ready to unwind for the evening in A Romantic Hideaway, feel free to de-stress in your jetted tub, watch a favorite TV show on your flatscreen TV, or relax in front of the fireplace as a couple. You’ll also have plenty of counter space in your master bath for getting ready for your Gatlinburg adventures in the morning. The outdoor spaces of A Romantic Hideaway are relaxing and enjoyable. Enjoy 2 open decks with this cabin – both ideal for stargazing in the evenings or soaking in Smoky Mountain air in the mornings. You can also spend the evening relaxing in your private outdoor hot tub on one of the decks of A Romantic Hideaway. 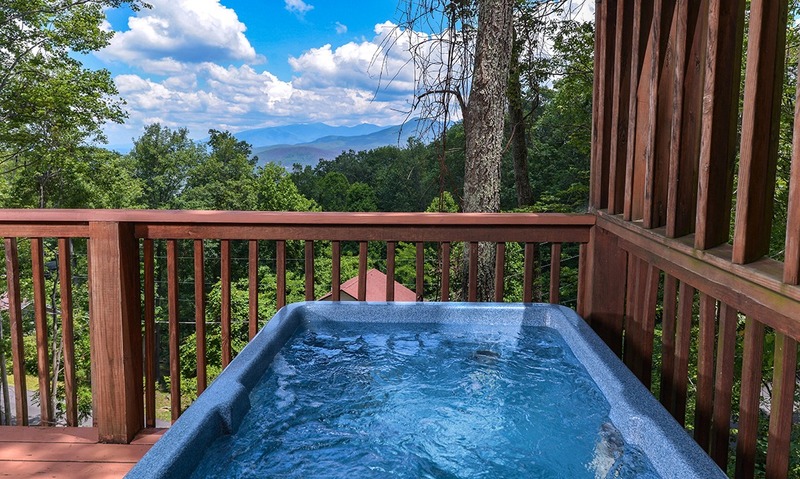 This hot tub is the perfect size for 2 and offers mountain views. 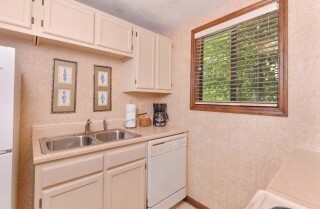 If it’s a pretty day and you want to eat your meals outside, this cabin also comes with a small table and 2 chairs. You can use the charcoal grill to make a romantic steak dinner or simply sip on your favorite cup of Smoky Mountain wine while the sun goes down. 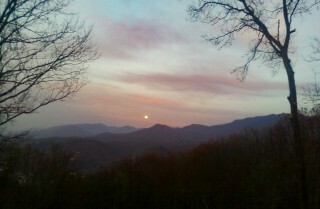 Be sure to visit the Smoky Mountain Winery while you’re in Gatlinburg and take your favorite flavor back to the cabin. A Romantic Hideaway offers so much more than a cozy cabin for 2 in the Smokies. This cabin also comes with exciting extras like a pool table for nights you want to have fun, a DVD and CD player for the nights you’re looking for a little entertainment, and a private indoor sauna when you’re needing some R&R. 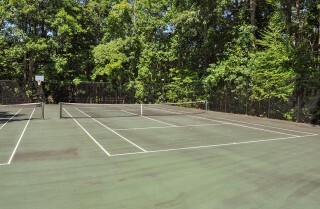 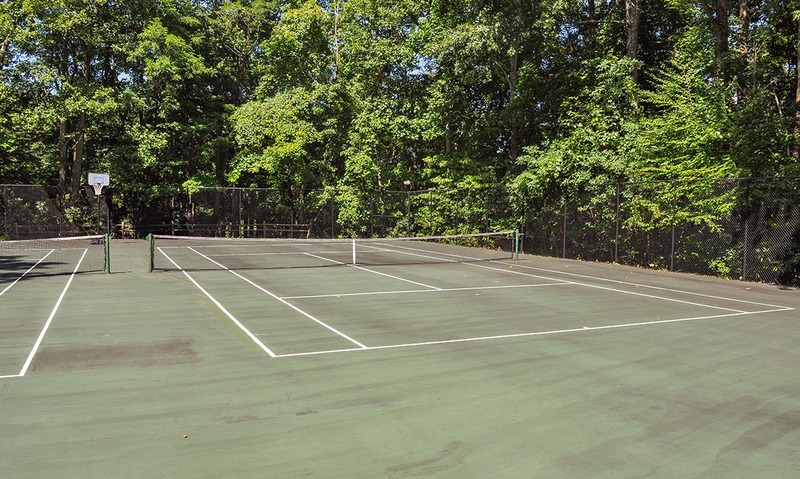 Also included during your stay at A Romantic Hideaway is access to a community pool, playground, and tennis courts. 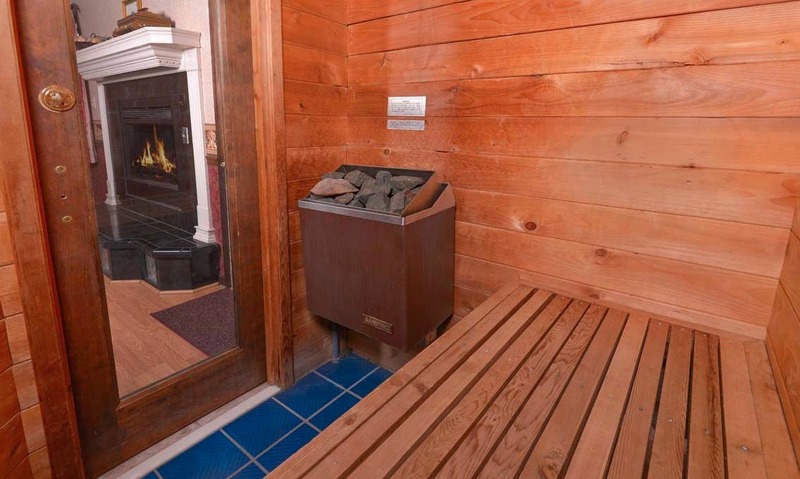 Finally, this cabin offers you a paved driveway in the Smokies. Although it is on an incline, you shouldn’t have trouble parking on this cabin’s driveway. 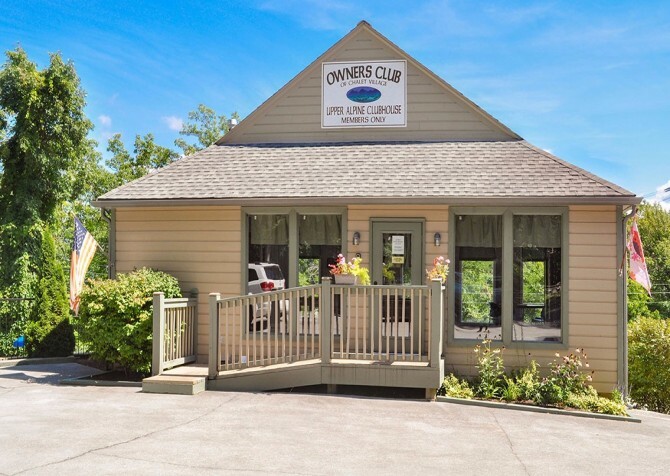 If it’s a rainy day or you’re just looking for an attraction that’s unique to the Smokies, plan to visit Ripley’s Aquarium of the Smokies. 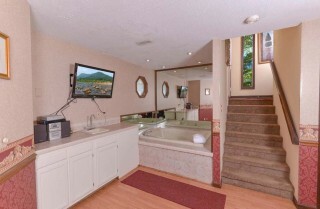 This top-rated aquarium features so much more than a bunch of fish. 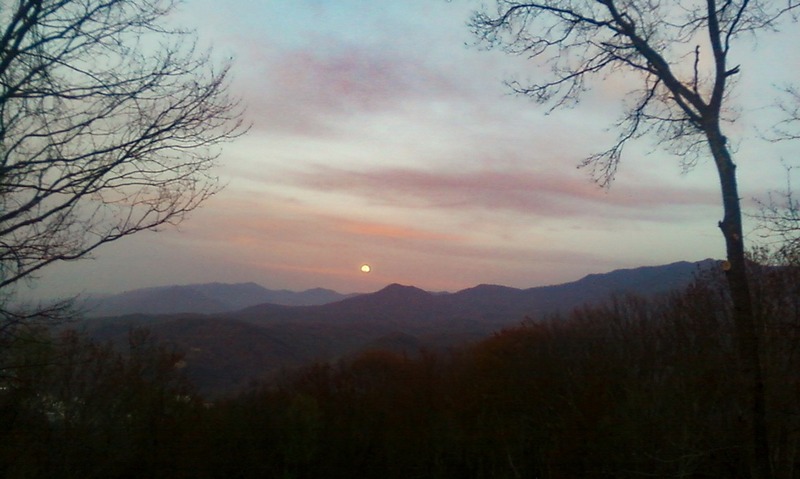 Enjoy a variety of animals, exhibits, and behind-the-scenes events at this Smoky Mountain attraction. The historic Gatlinburg Space Needle has been a favorite tourist destination for decades. 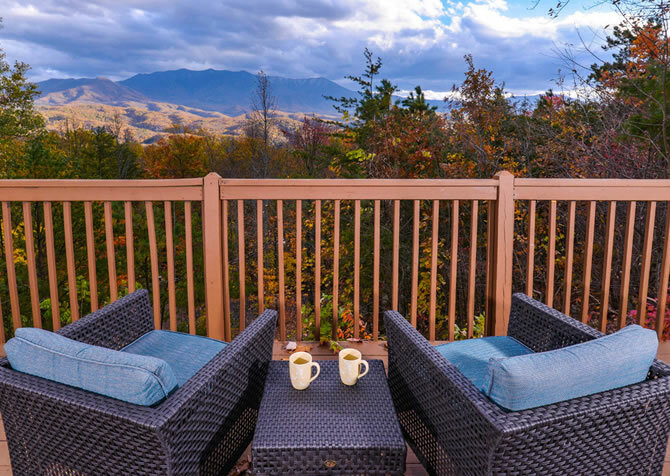 Enjoy stunning views of the Smokies in every season from its panoramic display. Tickets are reasonably priced, and the attraction is open 365 days a year. 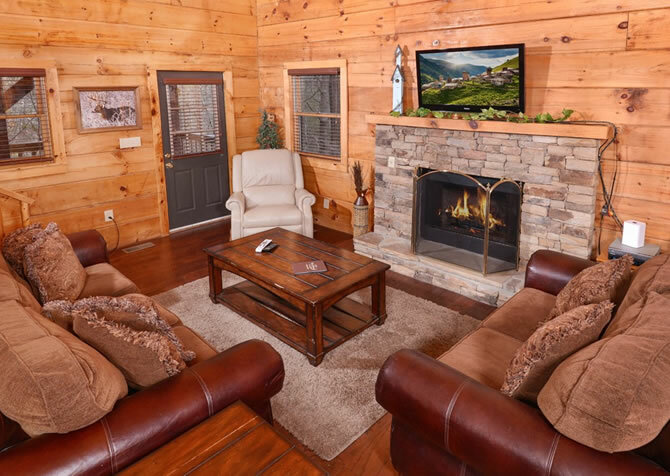 For wintertime getaways, be sure to check out Ober Gatlinburg, where you can ski, snowboard, tube, or ice skate during your Gatlinburg vacation. For those visiting at other times of the year, Ober Gatlinburg still has attractions worth visiting, including the Aerial Tramway, the Alpine Slide, and more! "Very nice cabin with a good view. 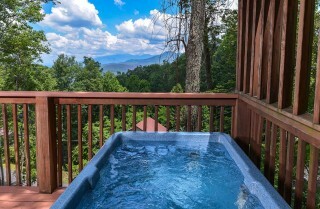 It had everything that we wanted and was near Gatlinburg. Definitely can't wait to go back!" 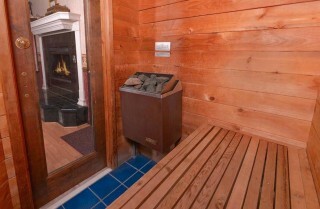 "I would highly recommend Cabins For You. We stayed in A Romantic Hideaway recently, and it was more than we expected. Beautiful cabin and had several features that made our stay so relaxing and enjoyable, such as an indoor jetted tub, Sauna, fireplaces, stereos on both levels, etc. 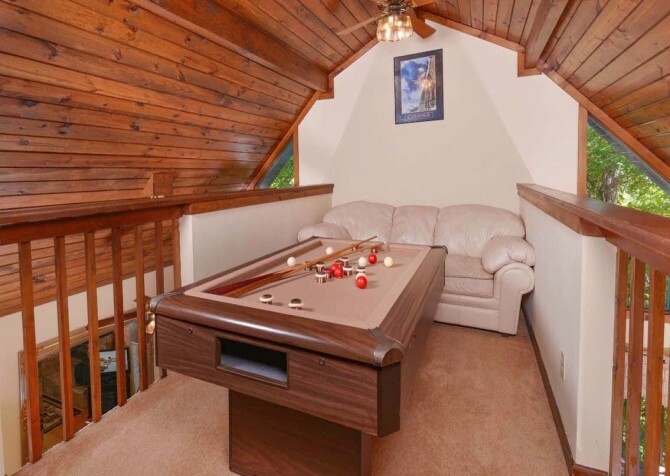 It was located in the Mountains so you had the privacy but also around the corner from Ober Gatlinburg and minutes from all the activities in Gatlinburg. I would definitely stay there again!"